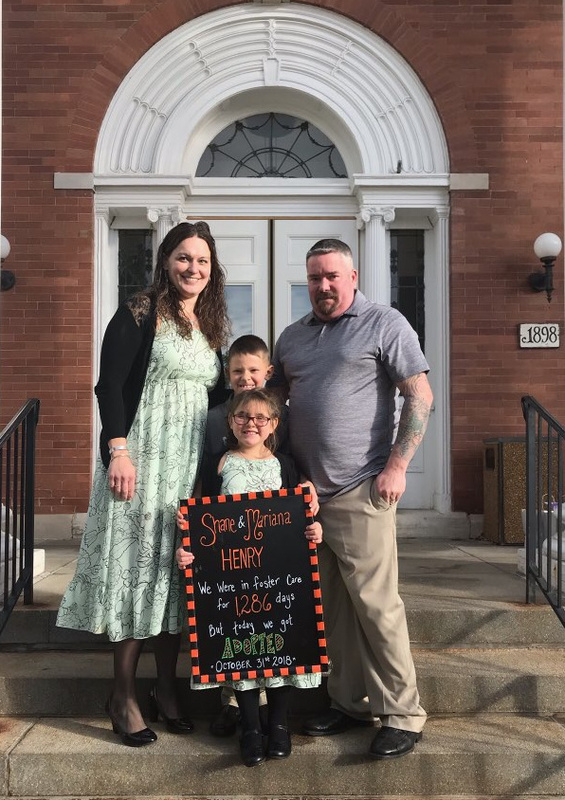 Bobby and Heather Henry adopted Shane (eight) and Mariana (five) on Halloween, 2018. “We lived with our birth mom, and it didn’t feel right to her, so she said it would be best — she thought — if we went to a different home where we’d be loved more and protected, because she couldn’t take care of me. I had to go through a lot of homes, and it was really sad when I had to leave them. It was really tough for me to go from home to home and I’m like ‘I hope this is the one.’ (On Thanksgiving), we gotta give thanks for being adopted, and getting the right mom and dad.